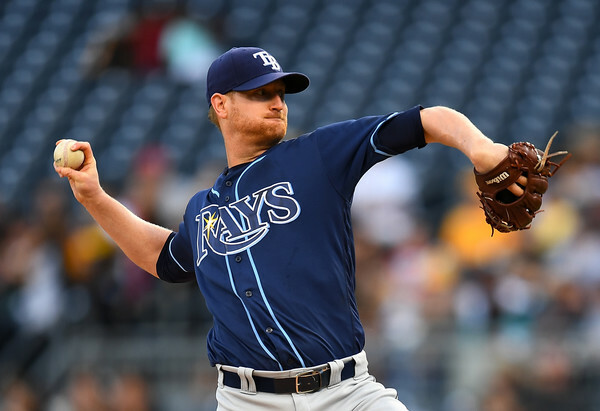 The Baltimore Orioles reportedly agreed to a deal with free-agent right-handed starting pitcher Alex Cobb on Tuesday evening. On paper, the move looks like a good deal for the Orioles, considering that none of their starters in last year’s staff had an ERA under four. Fast-forward to this upcoming season, Baltimore will get Cobb midway through April (Cobb has a minor league option remaining and it will be used to strengthen his arm) and they have a much more proven staff with Andrew Cashner in the fold. Do their additions make them a playoff-caliber team? Cobb had a bounce back season in 2017, pitching to a 3.66 ERA and 1.221 WHIP in 179.1 innings pitched. Cashner had a 3.40 ERA and 1.320 WHIP in 166.2 innings pitched. Combined, Baltimore had the 27th-ranked ERA in the MLB, with it sitting at 4.97 in the 2017 season. Adding both pitchers could help with the consistency of the staff, with both having success in the recent pass. In addition, both pitchers would shift the unknowns of Mike Wright, Nestor Cortes and Miguel Castro to bullpen roles. More on those three later. Baltimore has three holdovers from last year’s staff in Kevin Gausman, Dylan Bundy and Chris Tillman. Gausman started the season with 5.85 ERA in 97 innings pitched. However, he was able to turn his season around, pitching to a 3.41 ERA in the second half in 89.2 innings pitched. 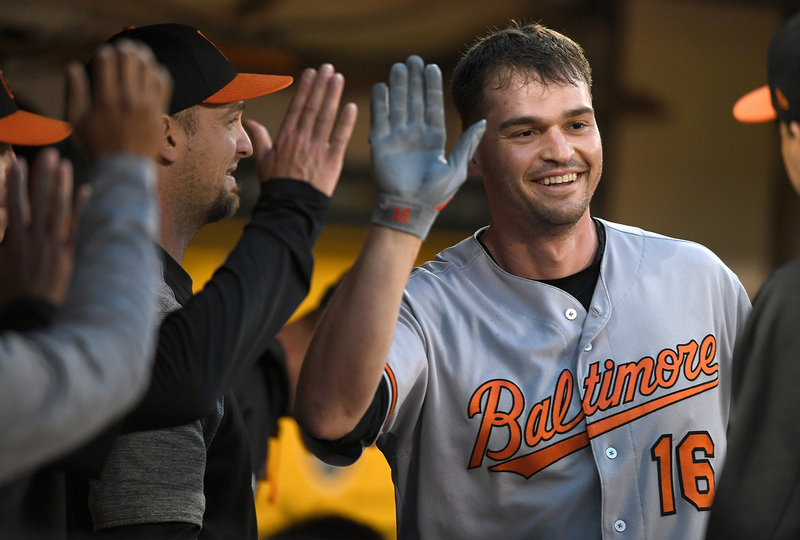 Bundy saw his ERA fluctuate throughout the season, starting with a 1.65 ERA in the first month of the season, then seeing his ERA peak at 8.41 in July. Tillman had an injury-riddled season, where he pitched to a 7.84 ERA and 1.892 WHIP in just 93 innings pitched. Baltimore could easily see all three pitchers improve this season, as Tillman is now fully healthy, Bundy is now in his second full year as a starter and Gausman is usually better than how he pitched in the first half of last season. Or it could go just as badly as last season for the three pitchers and the other two signees don’t live up to their previous year’s stats. The good part for the Orioles is that it’s pretty hard to get worse than last season, at least with starting pitching. If they can stay healthy and pitch decently, they are already much better than the starting staff that Baltimore put together last season. It is extremely easy for Cobb and Cashner to be an improvement over Wade Miley, Ubaldo Jimenez and Jeremy Hellickson. Tillman has been solid in healthy seasons since 2012. He just pitched to a 3.82 ERA in 2016, so it’s not out of the realm of possibility that he can improve from last season. It just doesn’t get much worse and he’s not injured. Wright was one of Baltimore’s most highly touted prospects at one point. Despite that, he could never command his fastball throughout his three-year MLB career and has compiled a 5.86 ERA and 1.455 WHIP in 144.1 innings pitched. His FIP is a bit better, but still not good, sitting at 5.46. Wright has added a cutter to his arsenal this off-season and it has allowed him to get out of jams. It could allow him to have some success as a reliever, where he has held a 4.62 ERA in 39 innings. If he doesn’t make the team, Baltimore has to either trade him, release him or pass him through waivers. Cortes is a left-handed pitcher who can both start and relieve. That’s extremely valuable for the Orioles, especially because they don’t have any left-handed starters and their other left-handed relievers are more or less specialists in the bullpen. This spring, Cortes has pitched to 4.35 ERA and 1.350 WHIP in 10.1 innings pitched. Though it isn’t great, he has had so much success in the minors, pitching to 2.08 ERA in 324.1 innings pitched in five minor league seasons. He’s a Rule 5 Draft pick, if he doesn’t make the 25-man roster, he will be offered back to the New York Yankees. Castro is the only one out of the three that is a lock to be on the 25-man roster this season. He has seen his best work out of the bullpen and pitched to a 3.53 ERA in 2017. In 63.1 innings as a reliever in 2017, Castro pitched to a 3.29 ERA, with a .281 wOBA against him. However, he could be optioned down to the minors to stretch out his arm, which would give other pitchers another chance. Getting to Baltimore’s other relievers, they also carry another Rule 5 Draft pick in Pedro Araujo. He has been very good in the spring, holding a 2.57 ERA and 0.86 WHIP in seven innings pitched. He can push his way onto the Opening Day roster with his play. Jose Mesa Jr., who is the other 2017 Rule 5 Draft pick, probably won’t make the team. Mesa Jr. has pitched to a 5.87 ERA in 7.2 innings pitched in spring training, so he too could be offered back to the Yankees. Baltimore also has sidewinding left-handed reliever Donnie Hart as a possible option out of the bullpen. Hart began his major league career with a 0.49 ERA and 0.982 WHIP in 18.1 innings pitched in 2016. In 2017, Hart came back to earth with a 3.71 ERA and 1.397 WHIP in 2017. Hart has options, so he can be sent down to the minors if Baltimore wants to fit Araujo and Cortes into the bullpen for 60 days. If he does make the team, he will be Baltimore’s lefty specialist. 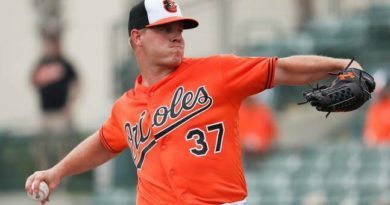 Brad Brach, Mychal Givens, Richard Bleier and Darren O’Day will undoubtedly be part of Baltimore’s bullpen on Opening Day. Brach will be Baltimore’s closer on Opening Day and it will be the first time that he’s had an entire off-season prepare for his role. Brach pitched to a 3.18 ERA and 1.132 WHIP in 68 innings pitched in 2017. Givens had a 2.75 ERA and 1.042 WHIP in 2017 and is touted as the “closer of the future”. This season is his chance to take that role in stride, while Brach needs to take an off day. Bleier has been a pleasant surprise with the Orioles in 2017, pitching to a 1.99 ERA and 1.184 WHIP in 63.1 innings pitched. His stats are interesting because he did the same thing with the Yankees in 2016, pitching to a 1.96 ERA and 1.043 WHIP. O’Day has been one of Baltimore’s bell cows out of the bullpen. He pitched to 3.43 ERA and 1.077 WHIP in 2017, improving upon his 2016 season, where he pitched to a 3.77 ERA and 1.226 WHIP. Zach Britton will also return sometime in either May or June, which should give the bullpen another shot in the arm. Britton had a “down” season in 2017, pitching to a 2.89 ERA and 1.527 WHIP in 37.1 innings pitched. He dealt with an injury to his pitching elbow and a knee injury. Now he has to recover from an Achilles injury. His rehab is going pretty well and looks to bounce back from his injuries in 2018. Are they a playoff-caliber team? On paper, yes. The Orioles have the talent on their pitching staff that they haven’t had since the 2014 season. With their starting rotation, they won’t feel the need to overuse their bullpen. That is a good situation to have for a team that has struggled with finding starting pitching in the past. 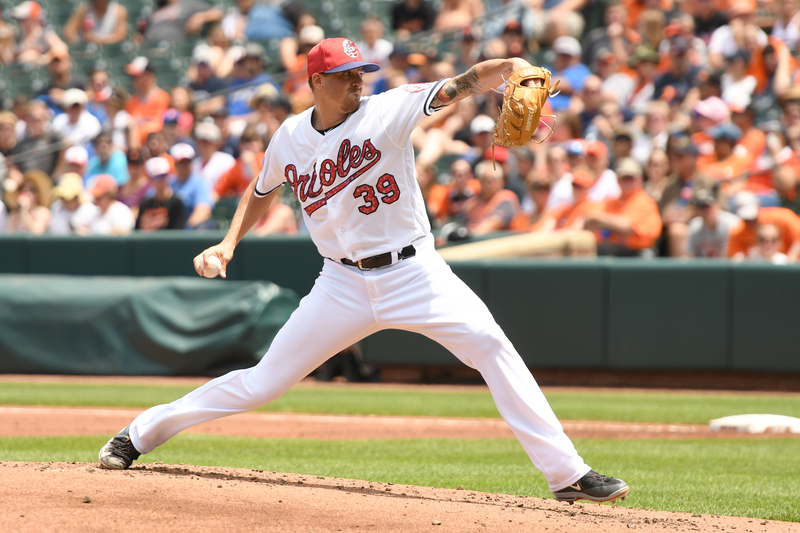 The biggest difference for the Orioles is that they now have more options to start and relieve. They weren’t in this situation last season and it spelled trouble for their staff as a whole. Add this in with a formidable lineup, Baltimore will have a chance to make it back to the playoffs in 2018. Mesa Jr. has been designated for assignment to make room for Cobb on the 40-man roster. The 24-year old can be offered back to the Yankees for $25,000, Baltimore could trade him or if he clears waivers, he can stay within Baltimore’s organization.